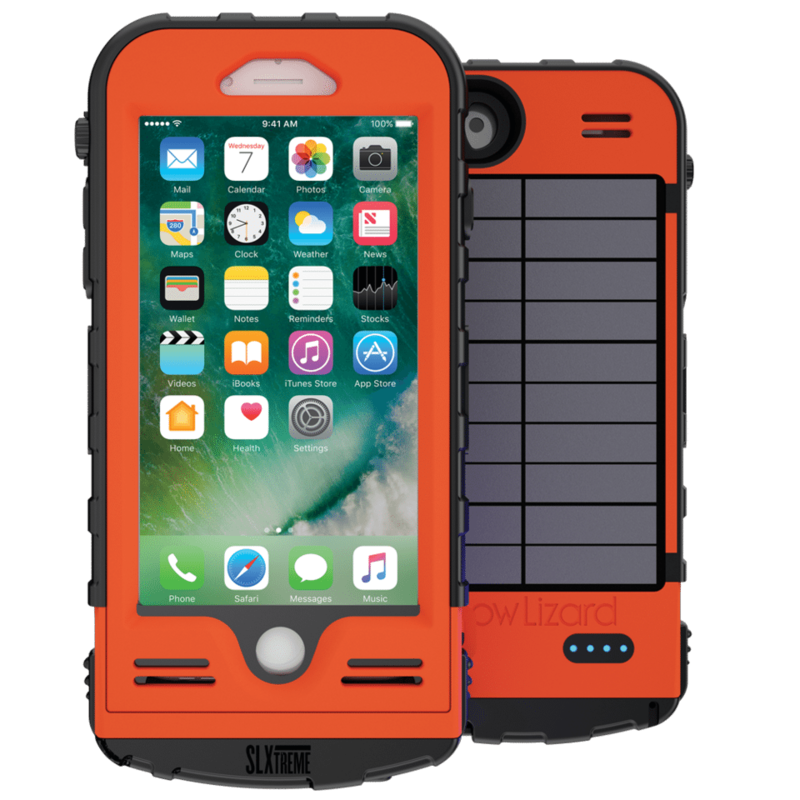 For the outdoor adventurists who find themselves climbing mountains, or white water rafting, and are often away from a power source, the Snow Lizard SLXtreme might just be the case for your smartphone. A first of its kind, the SLXtreme features military grade design made with a polycarbonate hard shell with rubberized side grips. It’s drop proof to two metres, waterproof down to two metres, and ideal for rugged terrains, yet still maintains full screen access. 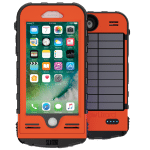 It also features an integrated battery extender to give your phone 16 hours of extra talk time as well as a built-in solar charger that uses not only the power of the sun but even indoor light to re-juice your battery. Just an hour out in the sun will yield 10 minutes of talk time to keep you going. It comes with a charging cable, an extra rubber gasket in case you need it, and a carabiner loop and lanyard to attach the case to your belt or backpack. For the eco-minded, Snow Lizard even comes with zero-waste packaging. This means the plastic box your case comes in can be used as a dry box to protect your other valuables from water and dirt. 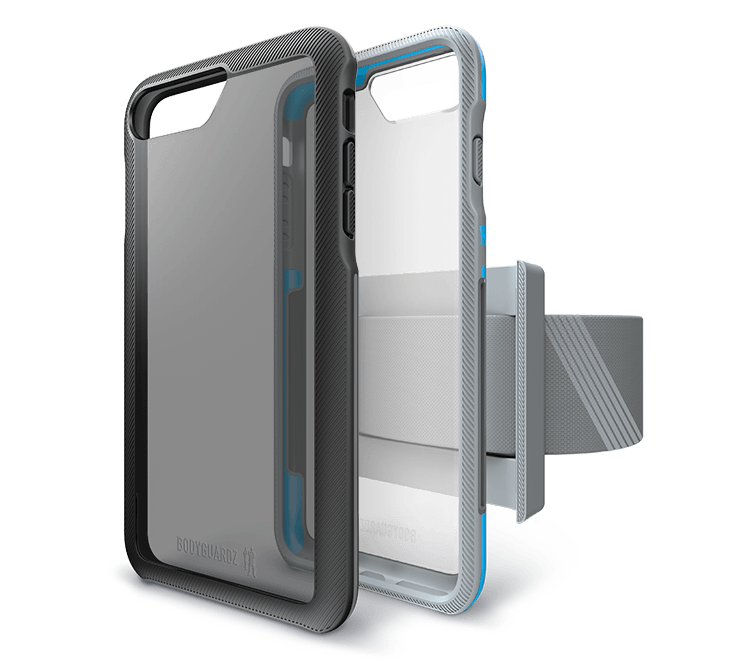 SLXtreme Cases by Snow Lizard retail for about $150. It’s available for iPhone 6/6S, 7/7 Plus and 8/8 Plus (iPhone X model coming soon). It comes in a variety of flavours including Safety Yellow, Signal Orange, Mossy Oak and Night Black. (Colours depend on models). You can find them atAmazon, Best Buy & Staples. For the person who leads a more urban active lifestyle where size and style are more critical than bulk, then the BodyGuardz Trainr Pro Case might be the right solution. The Trainr Pro case is designed with a lightweight construction, but don’t let its lack of mass or its sleek slim-lined design fool you. It’s made from a sport-grip material injected with the same impact gel used in some types of body armour especially designed to absorb and dissipate energy from drops or accidental impact. The back is made of clear polycarbonate to protect your device while still allowing you to see its natural colour. It also features a uniquely designed armband that actually makes sense. It’s designed to secure snugly to your arm, yet can quickly be put on and taken off so you can get on with your busy day without fuss. BodyGuardz Trainr Pro Case retails for $49 and comes in Grey/Mint or Black. It’s available for most late model iPhone devices directly from BodyGuardz and Amazon. There are also similar models like the BodyGuardZ Ace Pro for older iPhones and various Samsung Galaxy and LG smartphone models. Whether you’re up on a ski slope, lying on a beach, or simply in the car, you may feel fine but may not realise the impact that frigid cold or blistering heat might have on our smartphones. This is where ClimateCase comes in. It can protect your smartphone from extreme temperatures that can render your phone inoperable. 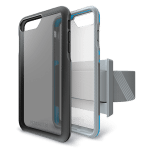 Three years in the making, ClimateCase is cleverly designed with multiple layers of neoprene insulation to offer almost any smartphone moisture-free thermal protection. The cool thing, pardon the pun, is that it works like an ice or heat pack. If you’re planning to catch some rays by the pool or on the beach, simply refrigerate the case ahead of time. If you’re heading for the mountains, simply prime your case by placing it your microwave for 30 seconds (without the phone) and it will keep your phone within operating temperature for hours. If you just happen, for example, to have left your phone in a freezing car and it stops working, simply preheat your ClimateCase. Then insert your phone. It should bring it to an optimal temperature within a minute or two. Another benefit of the neoprene insulation is that it also protects against accidental drops – the No. 1 cause of smartphone damage. ClimateCases are soft to the touch and are only seven millimetres thick. 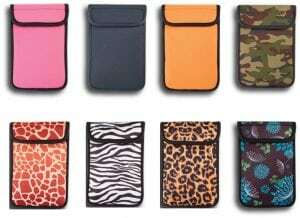 They are machine washable and available in a number of colours including charcoal, hot pink, orange, camouflage, and floral. They retail for US $34.99 and are available from Amazon. 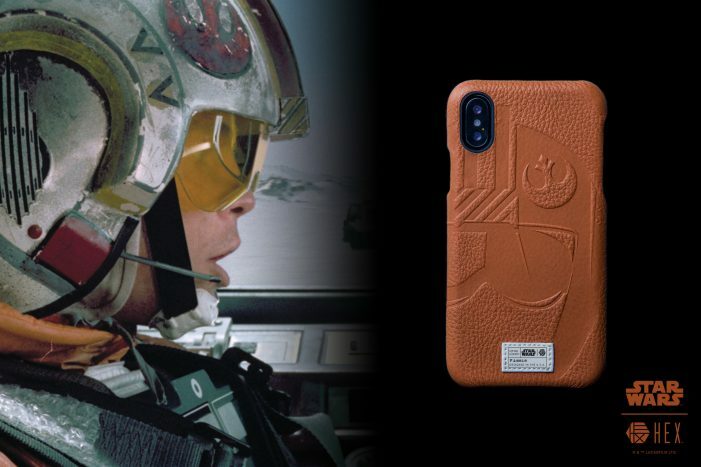 Just in time for the upcoming release of Star Wars: The Last Jedi, our last selection for top case picks may not protect you from the elements, but with these cases, the force is strong and they might just protect you from the Dark Side. 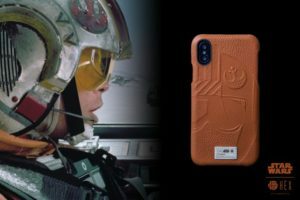 These official limited edition Star Wars inspired iPhone Cases by HEX are debossed leather in designs incorporating art and characters from the legendary films and featuring premium construction and a custom-moulded polycarbonate phone bed, so they look elegant, and properly secure your phone. 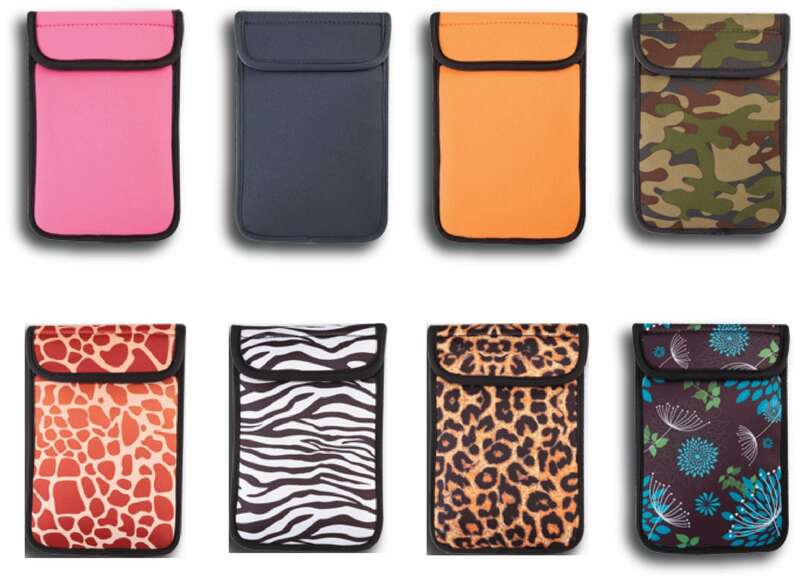 They come in a couple of different styles, including a wallet case, snap case, and zippered enclosure. Some feature three credit card slots, a cash pocket elastic enclosure, and are raised from your phone’s bezel to protect your screen. And, to remain true to the force, each feature special colours dedicated to your favourite hero or foe. 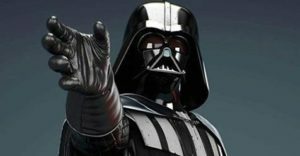 Appropriately, Darth Vader comes in black; R2D2 in metal grey; Boba Fett in leather brown; X-Wing in medium brown, and Storm Trooper – naturally in white. The HEX Star Wars collection cases retail for US $49.99-$69.99 and available directly from HEX.